This large cream chest of drawers is from our French furniture collection The Limoges Range. 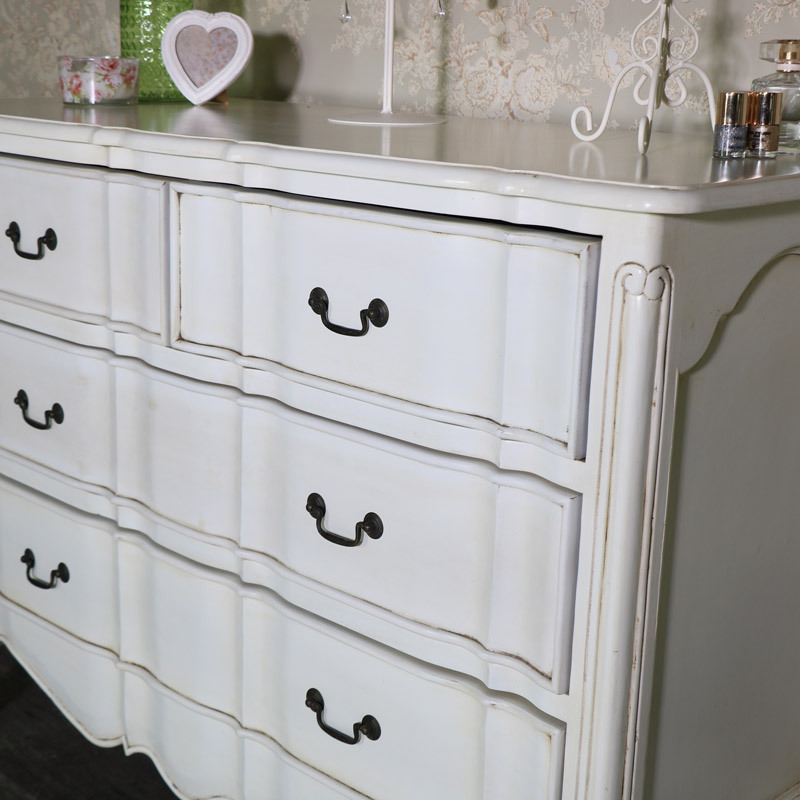 A luxury style cream painted furniture storage chest with 4 drawers. This chest would make a fantastic storage addition to a vintage or shabby chic style bedroom, living room or hallway. Each chest of drawer is completed with ornate vintage style carved detailing and brass handles. The antiqued finish on this chest adds a look of age that adds to the vintage appeal of this range. Featuring ornate carving to the body of the chest and cabriole legs with brass drop handles. With 4 drawers, in a 2 over 2 design, that offer great storage for keeping your clothes neat and tidy. 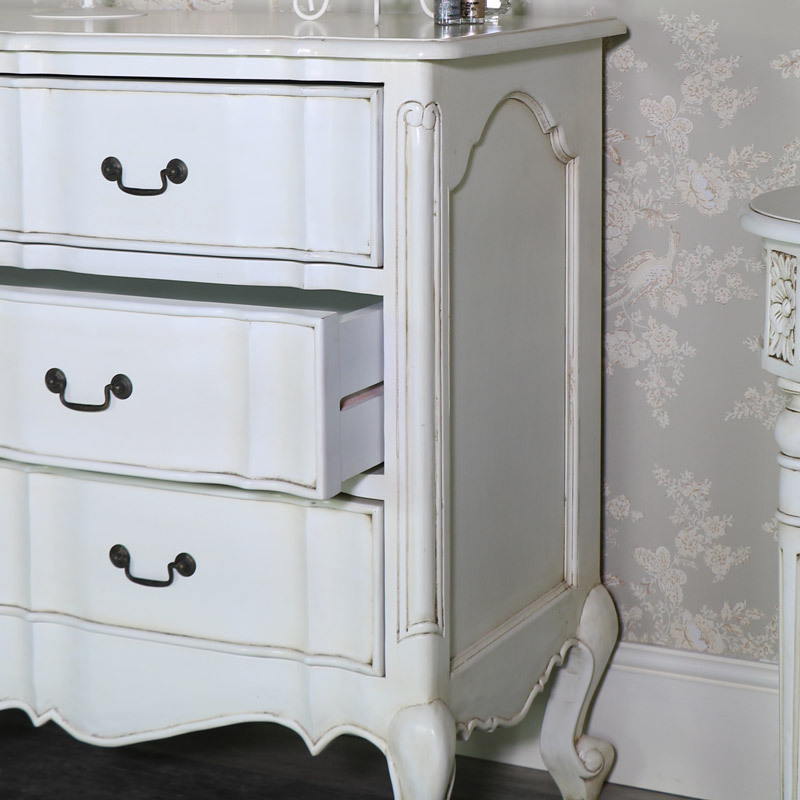 Our Limoges Range comprises of more furniture for you bedroom including a stunning dressing table, bedside chest and impressive double wardrobe. This large cream chest of drawers is from our French furniture collection The Limoges Range. 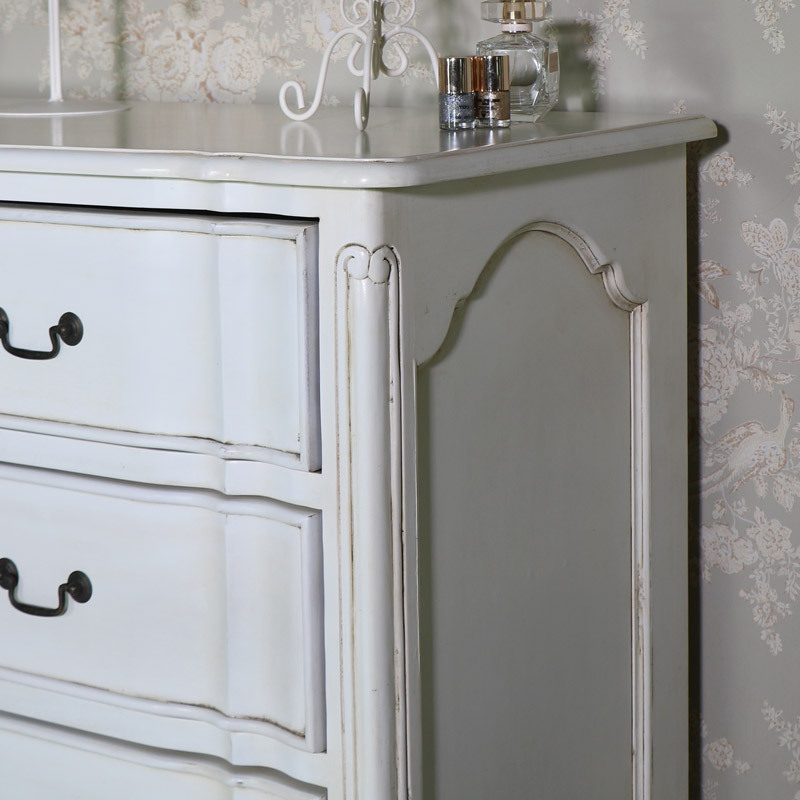 A luxury style cream painted furniture storage chest with 4 drawers. This chest would make a fantastic storage addition to a vintage or shabby chic style bedroom, living room or hallway. Each chest of drawer is completed with ornate vintage style carved detailing and brass handles. 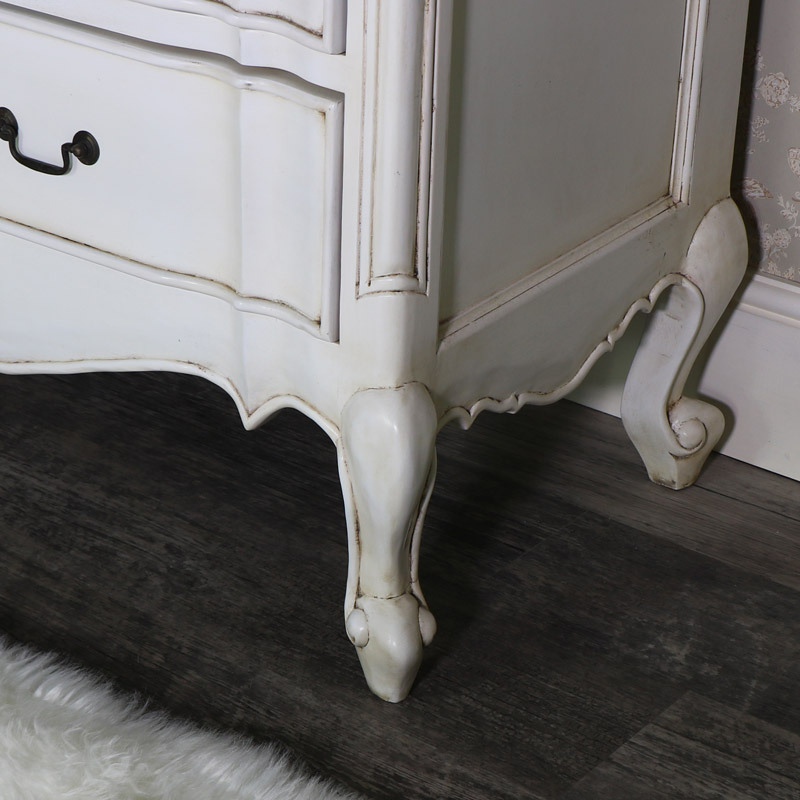 The antiqued finish on this chest adds a look of age that adds to the vintage appeal of this range. Featuring ornate carving to the body of the chest and cabriole legs with brass drop handles. With 4 drawers, in a 2 over 2 design, that offer great storage for keeping your clothes neat and tidy. 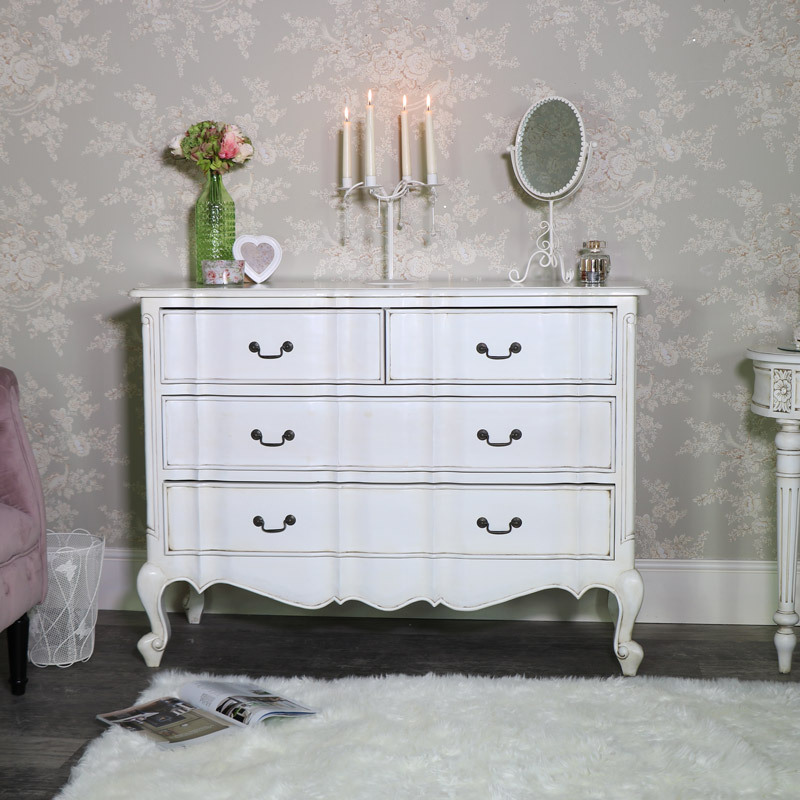 Our Limoges Range comprises of more furniture for you bedroom including a stunning dressing table, bedside chest and impressive double wardrobe. The chest is made from mahogany making this a sturdy piece of furniture. Painted in a cream finish with antiquing to give the appearance of age. The chest comes fully assembled. We have a great choice of furniture that's ready for you to furnish your home. In a selection of colours, styles and finishes. No, the large chest of drawers in the Limoges Range is fully assembled. 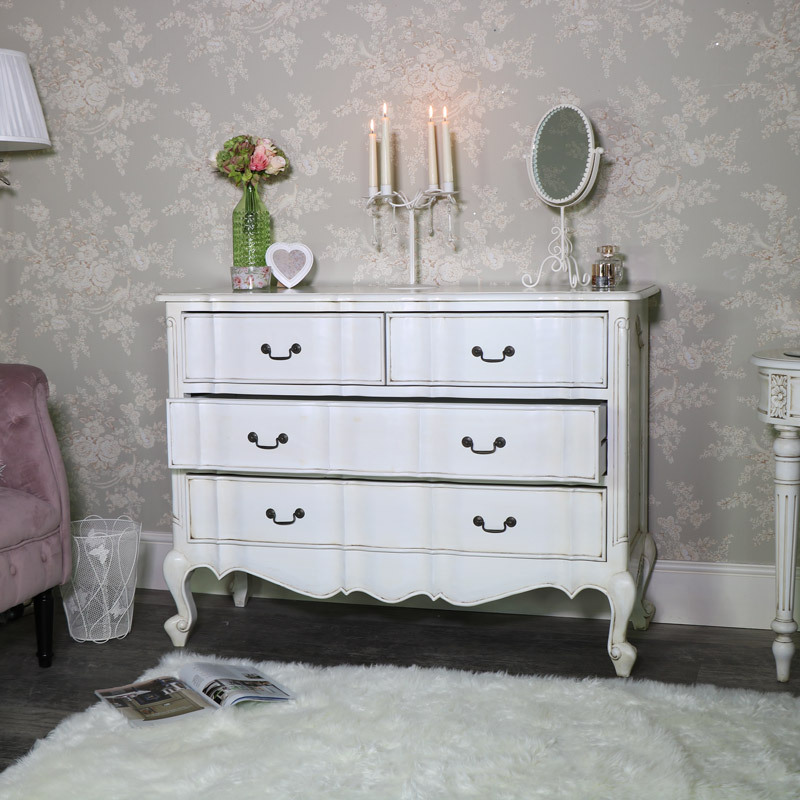 The Limoges Range chest of drawers is finished in a cream colour with antiquing effect to give the appearance of age. The Limoges Range chest of drawers is made from mahogany wood. 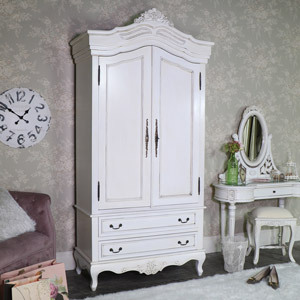 We have a few pieces of furniture in the Limoges Range including a large double wardrobe, ornate dressing table with table top mirror and padded stool, bedside chest and a large TV cabinet. Delivery goes with our specialist furniture courier and takes 3-12 working days.